I LOVE It!! Really, really loved it!! It is by far, my favorite new soup discovery!! 1) Melt the butter in a large pot over medium heat. Saute the onions in the butter for 5 minutes. Add the mushrooms and saute for 5 more minutes. Stir in the dill, paprika, soy sauce and broth. Reduce heat to low, cover, and simmer for 15 minutes. 2) In a separate small bowl, whisk the milk and flour together. Pour this into the soup and stir well to blend. Cover and simmer for 15 more minutes, stirring occasionally. 3) Finally, stir in the salt, ground black pepper, lemon juice, parsley and sour cream. Mix together and allow to heat through over low heat, about 3 to 5 minutes. Do not boil. Serve immediately. Last night, I’d originally planned to make Sriracha Fig Jam Chicken Wings, but then I remembered that my daughter was cheering at her middle school home basketball game, so I wouldn’t be home to cook. (Stay tuned for the Wings, they’re happening soon, though.) Hubby to the rescue! He offered to cook!! I thought a soup might be a good idea, since its hard to predict exactly when daughter and I would be home… He made mushroom soup for me, and it was AMAZING! Not only was the soup amazingly yummy, it was pretty cool that he found the recipe and made it just for me and daughter, because we LOVE mushrooms. He doesn’t eat them! As a matter of fact, he avoids them at all costs, the same way I avoid all seafood and fish!! Yet, he made mushroom soup for me!! Is there anything hotter than a hot guy in the kitchen? No, there’s not! 🙂 Lucky girls we are!! We loved the “Hungarian Mushroom Soup! !” Thanks, Mitch! We give you 5 of 5 stars!! Want to see what else is cooked in this house? Check my recipes page or find me on Pinterest. 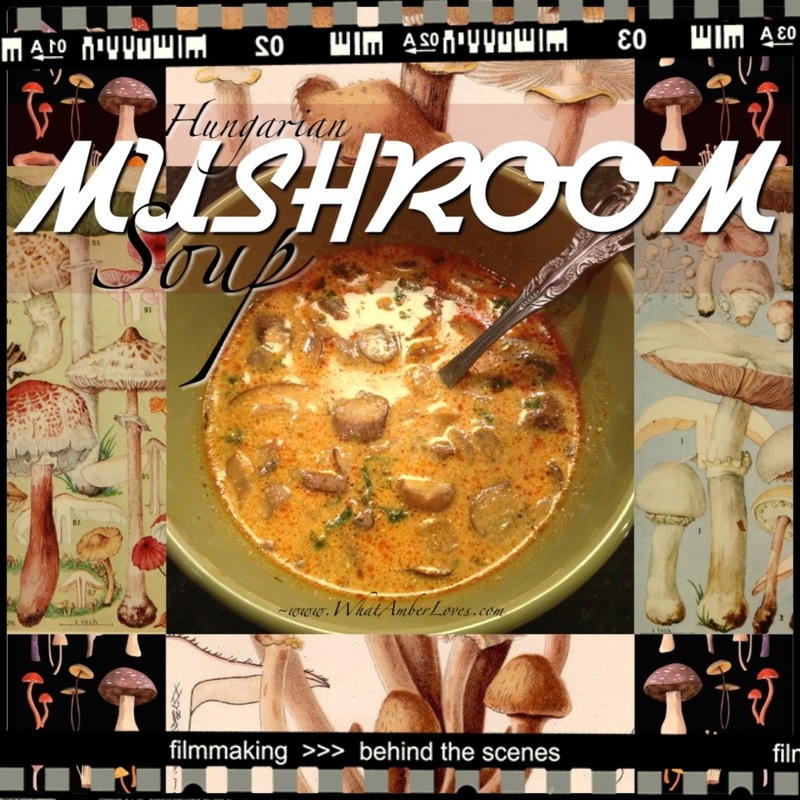 Posted on January 17, 2014, in food and tagged Arkansas, Hungarian Mushroom Soup, Mushroom Soup, Mushrooms, recipe, recipes, Soup, WhatAmberLoves. Bookmark the permalink. Leave a comment.